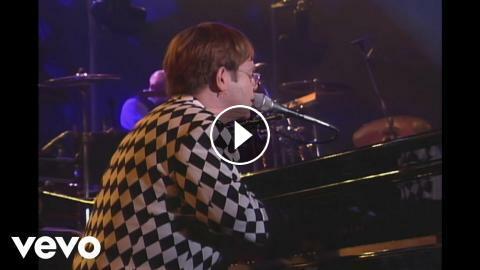 Early on in his first-ever concert in Rio de Janeiro, Elton reached back 23 years to provide a sparkling rendition of his third American Top 10 single. With current Music Director Davey Johnstone swapping his guitar for a banjo and then-band-member John Jorgenson on saxophone, Elton absolutely kills the piano solo, launching percussionist Ray Cooper, and the crowd of 400,000, into a frenzy. ‘Honky Cat’ was Elton’s highest placement on the US Adult Contemporary charts when it reached #6 in 1972.